The topic of her talk will be "Racism, Militarism, Poverty: From Ferguson to Palestine." The convocation begins at 7 p.m., Wednesday, January 28, at the Santa Cruz Civic Auditorium. The event is free and open to the public. Davis is the latest in a long line of distinguished speakers at the convocation: among them, Anna Deavere Smith, poet and activist Nikki Giovanni, former congressman and former NAACP chairman Kweisi Mfume, Harvard professor Cornel West, and bestselling author Alice Walker. She is also a champion of literacy as a means to achieve social equality. During a recent conversation with UC Santa Cruz Review magazine, she talked about her experiences in jail after being placed on the FBI's "10 Most Wanted List." "The only way one can live a life that is not subject to the strictures of incarceration is to live a life of the mind," she said. "It was interesting when I went to jail, I realized that having been in school for so long and having spent so much time alone reading, I could actually rescue myself from the repression of the jail by engaging in those passages. "The selection in the jail library was always so limited, and when I was able to get books from the outside I always tried to share those books with other women who were there. I was prevented from sharing them, but we figured out ways to circulate them. Books were contraband." One of those hidden books was Soledad Brother: The Prison Letters of George Jackson. "We managed to read that book clandestinely," Davis said. "We had organized discussions about it." 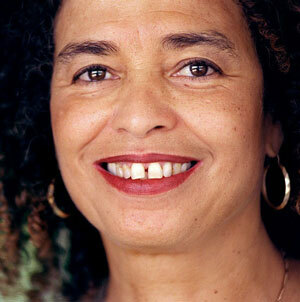 Davis reflected on her jail experiences in her book, Angela Davis: An Autobiography. Writing this memoir was not her idea; the Nobel and Pulitzer Prize–winning author Toni Morrison, while working as an editor at Random House, approached Davis with the idea and worked on the book with her. The two have been friends ever since; Davis was on hand to introduce Toni Morrison when Morrison gave a lecture in Santa Cruz this past fall, prior to accepting the UC Santa Cruz Foundation Medal. The convocation also includes the announcement of the annual Tony Hill Memorial Award, honoring a community member who is actively engaged in the needs of the community and seeks to provide tools to work toward a solution. The individual demonstrates hands-on service that results in building connections among diverse groups, promoting equality and justice. Honorees exemplify the late Tony Hill's work and legacy. Hill, a longtime advocate for social and economic justice in Santa Cruz County, was known for his skills as a community bridge-builder and mediator. He died in 2007 at age 62. Award recipients receive $500 to donate to the charity of his or her choice. Past honorees include Theresa "Gina" Castañeda, deputy probation officer for Santa Cruz County and head coach of the Aztecas soccer team, whose young players are "high risk" youth including a number of gang-involved teens; Deutron Kebebew, youth advocate and former foster child; and Stephen Nelson of the Homeless Services Center. This year's event sponsors are AT&T, the NAACP, Inner light Ministries, the City of Santa Cruz, and the UC Santa Cruz Chancellor's Office. For more information, visit the 31st annual Martin Luther King Jr. Memorial Convocation website.